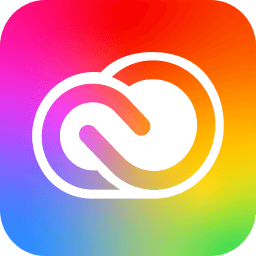 Adobe Creative Cloud 2018 will give you an entire collection of Adobe desktop and mobile apps and more merely with a monthly membership. With Adobe Creative Cloud 2018, all your favorite desktop apps have been transformed to help you work faster and more efficiently. You’ll find innovations like artboards in Adobe Photoshop, performance boosts in Adobe Illustrator and Adobe InDesign. Also the new touch features in even more of Adobe apps. And now their power extends to your devices with connected mobile apps. So you can go out and capture inspiration, sample the world around you and make something incredible. Creative Cloud gives you the world’s best creative tools, always up to date. And now, all the apps and assets are always right where you need them. And everything is seamlessly connected through Adobe CreativeSync technology, so you can easily turn your brightest ideas into your best work across your desktop and mobile devices. Find the perfect photo or graphic to jump-start your next project and make it amazing. The new Adobe Stock service offers 40 million curated, royalty-free assets. That is all available from your Creative Cloud apps in just a few clicks. Adobe Creative Cloud 2018 lets you download and install any or all of the following applications. They always updated with the latest features. What’s more, your Creative Cloud membership includes a free library of training videos. So it’s easy to get up and running fast. Turn the shapes, colors and other inspirations you capture into creative assets. They are always at your fingertips as you work across desktop and mobile. Sketch, draw, create layouts and edit photos and videos on the go with the power of apps like Photoshop on your phone or tablet. Adobe Creative Cloud 2018 brings all your assets together so you can do your best work anywhere. Adobe Creative Cloud 2018 breaks down the barriers to getting your content out into the world. From website hosting to mobile app deployment, the tools and services in Creative Cloud make it faster and easier to deliver your content across browsers and devices. Adobe Brush CC – Inspired custom brushes. Adobe Shape CC – Custom vector shape creation. Adobe Color CC – Mobile color theme creation. Adobe Hue CC – Custom creative looks to enhance video footage. Adobe Illustrator Draw – Vector drawing anywhere. Adobe Illustrator Line – Precision drawing and drafting. Adobe Photoshop Sketch – Expressive drawing. Adobe Comp CC – Create design comps using your real assets and fonts. Adobe Preview CC – Preview mobile designs on your iOS devices. Adobe Slate – Turn any document into a beautiful visual story – in minutes. Adobe Premiere Clip – Video editing on the go. Adobe Voice – Animated videos in minutes. Adobe Lightroom for mobile – Edit and organize images anywhere. Adobe Photoshop Mix – Creative mobile image editing. Community – Showcase and discover creative work, and connect with the creative community. Behance – The world’s leading community for showcasing and discovering creative work. Creative Portfolio – Sync and display your mobile portfolio to prospective clients. Now there’s no more waiting for the next upgrade, or being forced to choose between the latest software and other demands on your budget. With Adobe Creative Cloud, you always have access to the most up-to-date technology, all as part of your affordable ongoing membership. Download and enjoy new products and services as they are released, as well as upgrades and new features for the tools you already use. Adobe Creative Cloud 2018 is available for individuals or teams.